How Better Sleep Can Improve Your Life - Motivate Amaze Be GREAT: The Motivation and Inspiration for Self-Improvement you need! Does getting proper sleep improve your life? Well, the answer to that simple question is a resounding yes! The role that sleep plays in our life is a very important ones. It governs every aspect of our existence. Not only does it regulate the body’s physical and mental health, it also has a very positive impact on our daily life. It is critical for a balanced life and guards us against possible hazards and accidents. A good night’s sleep goes hand in hand with a healthy lifestyle, including diet and exercise. Staying up late to meet deadlines and getting ahead of the crowd at work leaves many professionals overwhelmed and unable to manage their sleep. Late nights may help you meet the deadlines but you in the long run you reduce your productivity and turn the knobs of annoyance and anger up! That is why the next day after the “all-nighter” feels so frustrating. Longer periods of sleep deprivation lead to depression, low performance at work and at life in general. How Much of a Positive Impact Does Sleep Have on Your Life? The quality and quantity of the sleep you get determines, to a great extent the type of day you’ll have. Research has also shown a lack of good quality sleep is linked to severe depression, safety hazards, suicidal thoughts and anxiety. Not only that, chronic insomnia weakens the body’s immune system and contributes to poor health, if left untreated. A person suffering from sleep deprivation is more likely to overindulge in sugary and calorie loaded foods as compared to someone who gets more than 8 hours of good quality foods. Poor sleep causes weight issues that can lead to rapid weight gain in most cases. If you get proper sleep, you are more likely to feel better and eat healthier. You are also giving your body the much deserved rest it requires and your body will remain refreshed and rejuvenated. 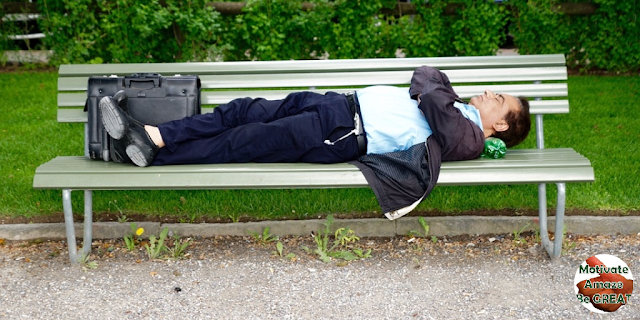 Getting more deep sleep sleep enhances your productivity and efficiency at work. Your mind will be able to refresh itself and your analytical thinking ability will improve. Your cognitive functions will work at their best and your outlook on life and work will also be positive and give others a vibe of positivity when they are around you. If you are sleep deprived, you are not only putting yourself in danger, but also those who are around you. People who are sleep deprived face an increased risk of workplace hazards and road accidents. It can take just one night of poor sleep to get you into a horrible accident and hurt not only you but the people around you as well. Therefore, getting proper sleep will ensure a safer environment for you, your friends and family. Individuals who suffer from sleep disorders or sleep apnea often face cardiac complications. If you are getting less hours of sleep, your body is unable to release certain chemicals that bring your body’s blood pressure and heart rate to a lower level. Catching up on your sleep ensures that your body keeps your blood pressure maintained even during the day. Insomnia and poor sleep also cause your body to produce insulin so that the normal glucose levels in your body are maintained. It also causes a disturbance in the regulation of glucose in your body by disturbing the hormonal balance and affecting your body’s stress-control center. This leads to an increased risk of diabetes. You are also most likely to eat sugar loaded foods if you are lacking in your Zzzz’z. So, in order to fix those midnight ice cream cravings, you need to get more than 8 hours of good quality sleep to keep your heart and body, healthy and happy! 5. Keep Your Emotions in Control! Yes, that’s right. Sleep keeps your emotions in control and keeps you feeling positive and happy throughout the day. A person with sleeping disorder loses the ability to think and act rationally. Their judgments become cloudy and they get agitated, annoyed and frustrated easily. This hinders their proactivity and productivity in life and also affects their relations with their surrounding individuals. Insomnia and sleep disorders cause the mind to become primitive and start regressing its logic and thinking ability. Sleep, therefore, is quite essential for your emotional stability and has a very positive impact on it if it is given importance. 6. Sleep Makes Life More Happy and Enriched! Following a good sleep schedule has a very positive effect on one’s life. Not only does it rejuvenate and refresh your body, it also improves your overall outlook on life and promotes a happier, enriched, safer, productive and healthy life. So, the next time you think about cutting back on your sleep to get some extra work done, think again. You just might be dragging yourself back instead of moving forward in the long run! 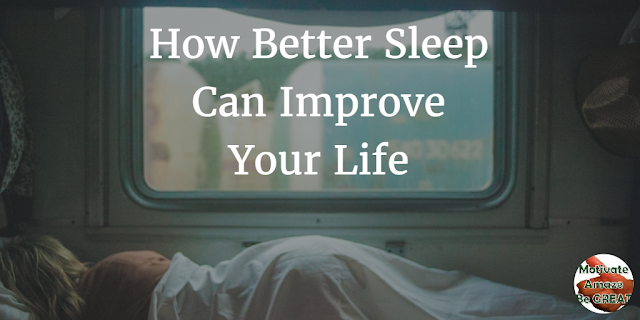 We hope now you know better why a better sleep can improve your life. Share this article with your friends and social connections using the sharing buttons bellow and on the side.